The resident ensemble of the Bach Festival of Philadelphia was founded in 2008 by Matthew Glandorf. The Collegium is comprised of the region’s finest musicians and scholars who specialize in the music of XVII-XVIII centuries. The ensemble is devoted to using historically authentic instruments. The principal players are veterans of the historically informed performance practice movement and are graduates of the leading conservatories and Universities in the Unites States, Great Britain, and Holland. 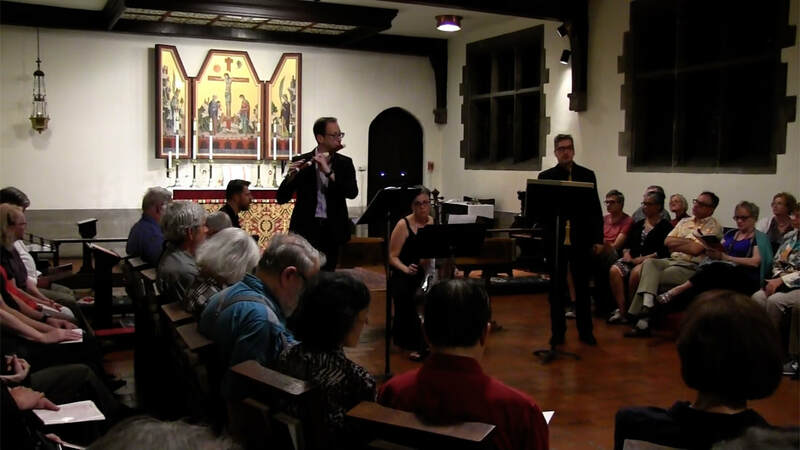 Since 2016, as part of Bach At Seven chamber series, the ensemble's members have designed and presented uniquely crafted programs, thematically related to J.S. Bach, his contemporaries, mentors and those inspired by his music. Some of the most recent programs include: "F.J. Haydn "The Seven Last Words of Christ" (with Franklin Quartet), "Parisian Portraits: French musical portraiture of the 18th century", "Downstream Bach" (with Night Music). In the 2017-2018 season, the Collegium offers three chamber programs featuring historically-informed performances of music by J.S. Bach, Telemann, Buxtehude, Zelenka, composers from Sweden and Denmark, among others.